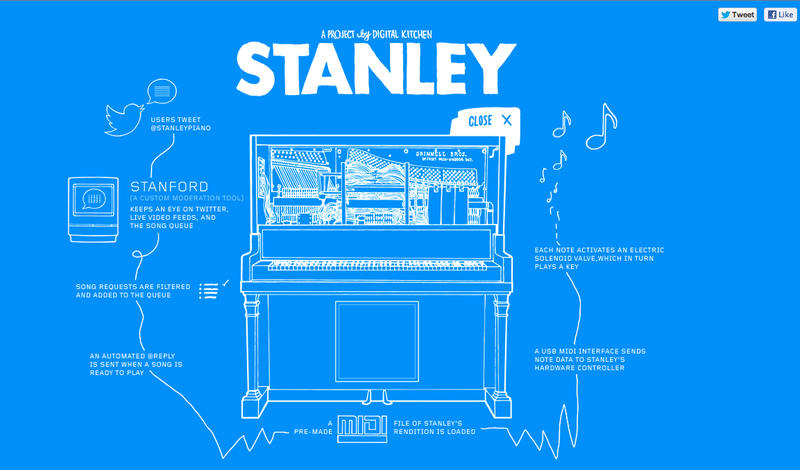 @stanleypiano is an interactive player piano that plays song request via Twitter. Tweet your request and Stanley will notify you when he’s playing your song. He prefers Indie music, but has taken the effort to learn how to play music out of its comfort zone.